#5375 stored at North Freedom, April 2000. This car was originally completed by the Pullman Co. in November 1913 as the “Sumter,” one of a series of ten sleeping cars, each with seven compartments and two drawing rooms. Other names in the series were “Ruskin,” “Kissimmee,” “Sanford,” “Yemassee,” “Waycross,” “Skyland,” “Dixieana,” and “Everett.” These cars were of all-steel construction, examples of the early steel passenger car era. “Sumter” worked in Pullman company service for many years and was ultimately sold to the Canadian National in 1942. CN immediately converted the car to first class coach #5375, with 24 seats in a smoking section and 52 seats in the main compartment. All seats were high-backed and reversible, with “Green Boucle” upholstery. At the time, the car featured electric lighting and Vapor heating. At a later date, the car was again shopped by CN, but this time it was converted to commuter train service by removing the interior partition and many of the reversible “walkover” seats, replacing them with bench seating along the walls. Seating capacity was thereby increased to 78, plus 110 “standees.” By 1975, the car was retired from service and was donated to the Lake Superior Museum of Transportation at Duluth, Minnesota. There it was used a few times in excursion service and then stored for several years. 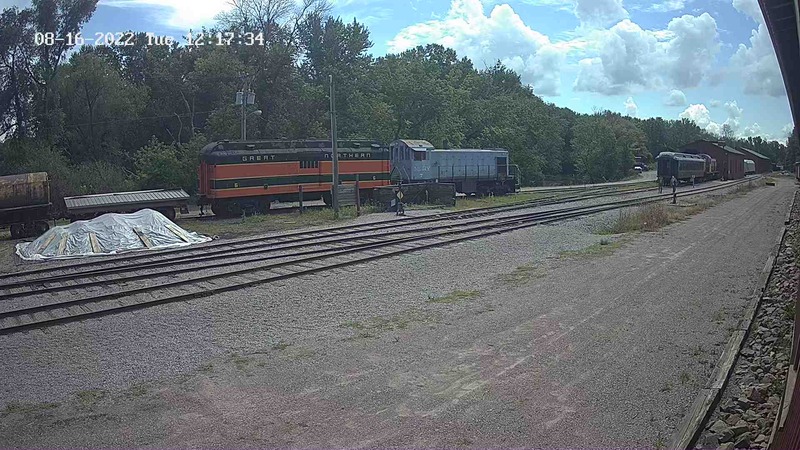 Mid-Continent purchased the car in April 1993 and moved it to North Freedom on its own wheels for possible restoration and return to service to augment Mid-Continent’s operating fleet. As of 2000, the car remains in storage awaiting funding. The Pullman Co. traces its beginnings to 1867 when George M. Pullman started a sleeping car service. His service consisted of supplying the linens, housekeeping services and the attendant for the sleeping cars. In the beginning he purchased cars or used the railroads’ own cars for this service. As the business grew it became advantageous to build the cars as well as provide the service. In 1880 the Pullman Co. opened its Chicago, Illinois works, to become the largest single railroad car plant in the United States. The Pullman Co. continued to grow and take over other car builders. 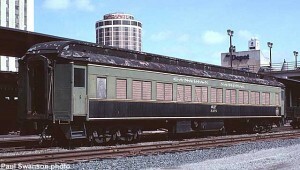 The end of the railroad passenger car business came in 1979 when Pullman withdrew from the market.